Combine dressing in a large mixing bowl and whisk until combined. Add all salad ingredients and toss to coat with dressing. Fresh watermelon is one of my favorite summer treats. Balance out the super sweet watermelon with plain greek yogurt, it makes the perfect creamy counterpart. This makes a great after school, after work, after workout snack. 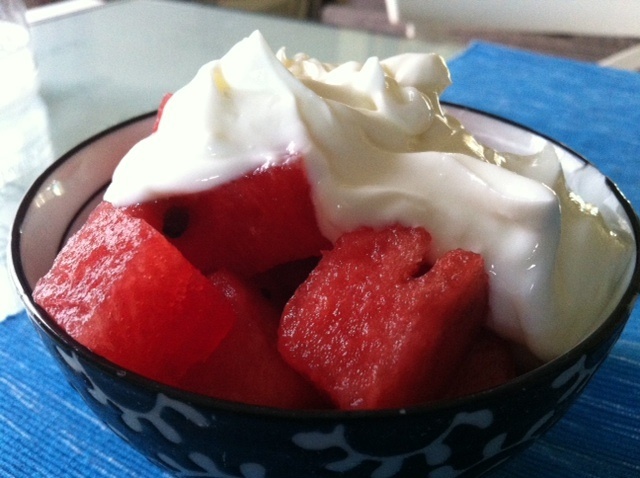 Watermelon is full of vitamin C and water, and nonfat greek yogurt is a great source of protein. 1. Make your favorite type of oatmeal, I happened to use maple brown sugar for this particular bowl. 2. 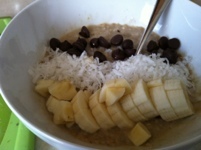 Top with diced bananas for potassium, shredded coconut for a healthy fat, and a “few” chocolate chips for pure deliciousness. I unknowingly eat vegetarian meals all the time, but when I invite my vegetarian friends over for dinner I can’t for the life of me think of anything to make! Hence my determination to blog my vegetarian meals. Firm tofu makes a great substitute for breaded chicken or fish, is a great source of protein, and is fairly simple to work with. You do need to make sure your crust has lots of flavor because tofu itself doesn’t taste like anything. This is why you should also slice the steaks thin enough to have a good amount of breading, but thick enough to hold together while you cook them. Put peanuts into the food processor and pulse until coarsely chopped. 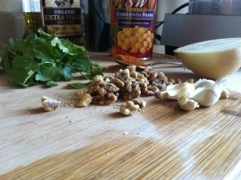 Mix the peanuts, breadcrumbs, cilantro and salt and pepper to taste, and put onto a plate. Dip tofu steaks into the egg wash and then into the crumb mixture until nicely coated. Heat olive or canola oil up in a skillet over low-medium heat, brown tofu steaks evenly on both sides until crust is nice and crunchy and golden brown. Meanwhile, cook spaghetti to package instructions, blanch carrots and zucchini in the same water for the last minute of cook time. Whisk peanut butter, soy sauce, sriracha, and rice wine vinegar together. Add a little vegetable stock to thin it out if needed. Add more or less of each ingredient to taste. 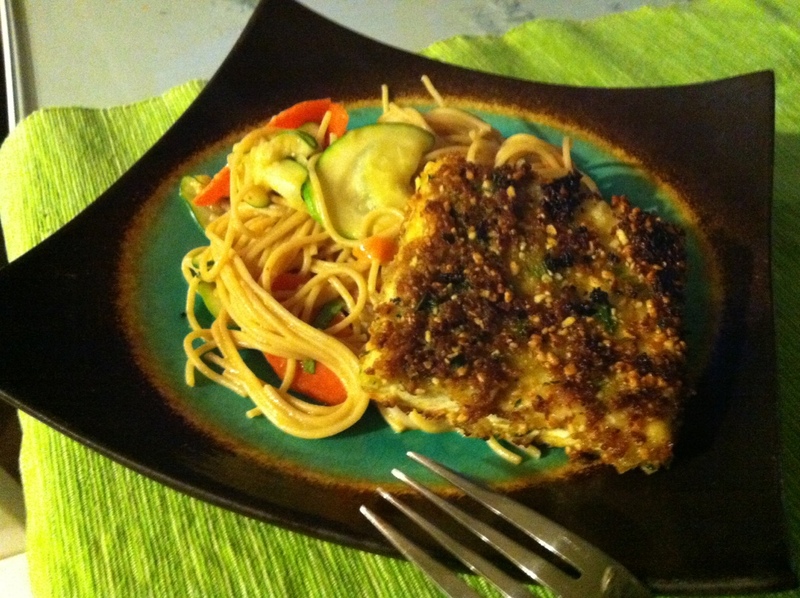 Drain pasta and veggies and toss into the peanut sauce. Garnish with chopped cilantro. I love having something savory and warm for breakfast. This polenta is so hearty it could even be served for lunch or dinner. Heat chicken stock in a small pot until it starts to bubble. Add polenta in a slow steady stream while whisking so you don’t get any lumps. 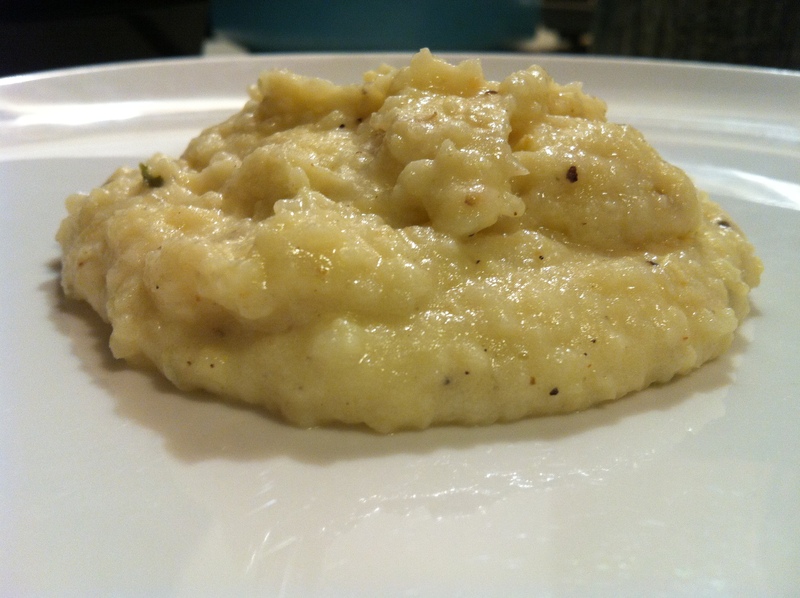 Continue to cook polenta, stirring pretty constantly, until it’s about as thick (about as thick as cream of wheat). Stir in grated cheese, salt and pepper to taste. 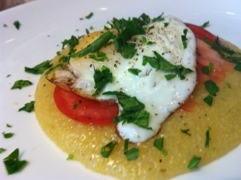 Put a puddle of polenta in the center of each plate, top with 3 tomato slices each, fried egg, and a sprinkle of parsley. Happy New Year to my Tasty Imposters! This post is long overdue, and I hope the new year finds you in good health and ready to start with a clean slate. This afternoon I got it in my head to make a falafel salad. Eating more salads is part of my dreaded New Year’s resolution this year, but if they’re all as tasty as this one, it shouldn’t be too horrible. When I looked in my fridge I realized that sadly, my salad greens were turning to slime. So I had to get creative and re-think my falafel salad. 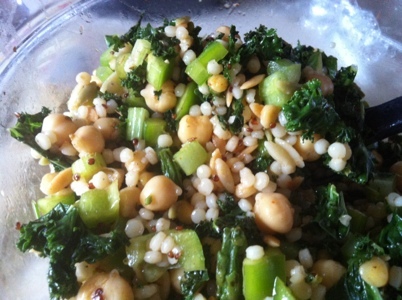 This would make a great composed salad or even an appetizer course when you’re entertaining. Pulse everything except the flour together in your food processor until mostly smooth. I just drizzle in enough olive oil to help everything blend together. Put the mixture into a bowl and stir in enough flour to bring it together into a thick paste. It helps to chill the mixture before making your falafel. Roll a tablespoon of dough into a ball and roll into breadcrumbs. Place your falafel on a cookie sheet lined with parchment and bake at 375 degrees for about 10 minutes, flip them over once to brown on both sides. I used a little olive oil spray to help them brown. Once you grate your cucumber, give it a gentle squeeze to get rid of the excess water. Combine everything together in a bowl. 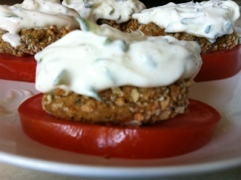 Assemble your salad by laying tomato slices on a plate, top each tomato with a falafel and your yogurt sauce. Say that three times fast. Adding parsnips to your usual mashed potatoes adds a little unexpected kick to this delicious side dish. Toss parsnips and potatoes with a little olive oil, thyme, salt and pepper, and toss to coat. Spread out onto a sheet pan with the garlic cloves and roast in a 400 degree oven for about 15 minutes until tender. Pick out the garlic cloves and cut them out of the skins. They should be soft and tender, some of them might be a little golden brown. Put them into a food processor with the parsnips, potatoes, stock, and milk. Puree until smooth. Put the puree into a saucepan on medium heat. Add cheese, nutmeg, and a little more salt and pepper. Simmer until warmed through. Add a little more stock if it gets too thick. It should be the consistency of mashed potatoes.